Om is the whole universe combined into a single sound. It represents the union of mind, body and soul that is at the heart of yoga. 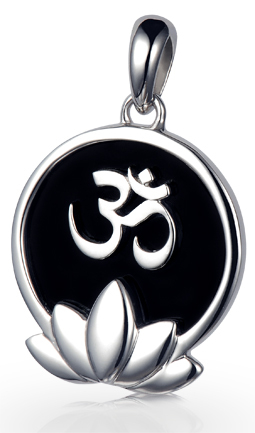 The 925 silver Om Lotus Flower Pendant features a black onyx tag resting on an unfolded lotus flower. Set on the tag is the om symbol.